A beautiful Japanese selection with these astounding grey-green leaves pencil edged with red. 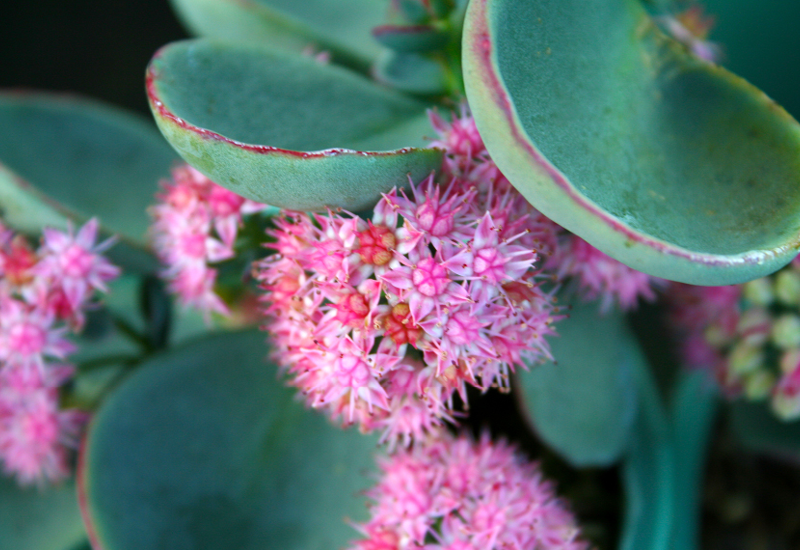 You’ll really enjoy the petite pink starry flowers that bloom in Autumn and attract butterflies and bees. Give a little prune back in Spring to encourage a more compact habit.